This week, we had an exchange thing between classes at my college. I spent one afternoon teaching bookbinding, and one afternoon learning some very basic metalwork. It turned out better than I ever dared dream. 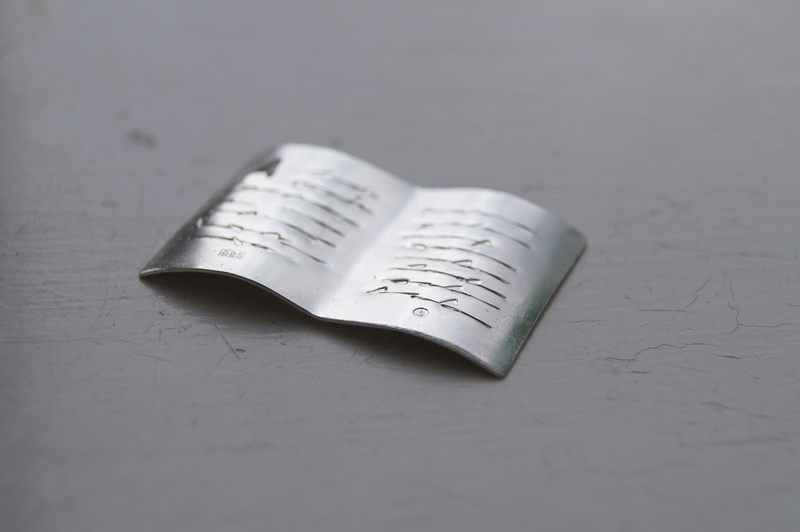 So this is a necklace pendant in silver – and, of course, it’s a book. 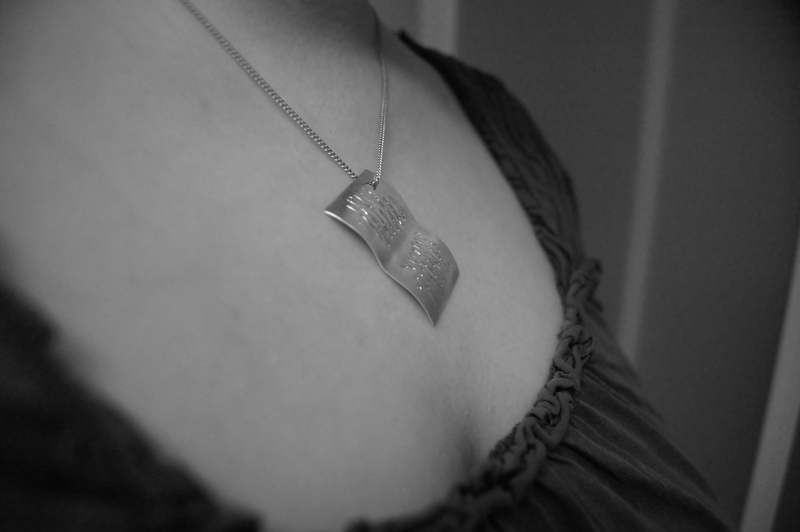 The necklace chain goes through the cut-out A, but I’m thinking of adding a small ring, that might stop it from turning inside-out all of the time… My favourite part of it is that the hallmark stamps is in the place of page numbers.